Improving the URL structure of your website is one of the most important on-page optimization techniques. If you thought it was only the title and the description of your website that matter in terms of gaining better rankings in search engines, you need to think again. The URL structure of your website should also be optimized for SEO and people. While ranking a web page in the SERPs, search engines like Google also look for relevant keywords in your URL. So, how do you optimize or improve the URL structure of your website? Well, given below are some of the most important tips to help you optimize your webpage URLs for higher search engine rankings. Keep your web page URLs short and compact. Just think, how do you feel when you come across a web page that has a too long URL rather than the one which has a short URL? If you want to create SEO-friendly URLs, you need to closely review the structure. Keeping URls short does not only reduce the load time of your web page, but they also look good to people. Short URLs are easy-to-read and remember for users. Make sure your URL is no more than 100 characters long. While adding pages to a dynamic site or CMS-based portal, you should make sure the URLs are free of any kind of additional characters like punctuation marks, ampersands and percentage signs among others. URLs containing additional characters are confusing to users. Search engines tend to like clean URLs. In addition, unnecessary punctuation marks in webpage URLs also increase security risk, making your site prone to getting hacked. For better search engine rankings, it is important for your website to have keyword-rich URLs. Depending on the industry and audience you are targeting, you can make a list of targeted keywords to include in your URLs. Just do some research on Google and you will come to know how important it is to include targeted keywords in your web page URLs. However, remember not to overdo it. While creating the website URL structure, keep in mind what your business deals with. Create URLs that are in tune with relevant product information and types of services you are going to offer. Suppose your business deals with financial products, figure out what links would provide guidance to your target audience. Create a URL structure that matches your business, services and products. Depending on the type of web page you are creating, you may need to include multiple terms in your URL. Don’t forget to separate the terms that your URL includes. It is best practice to separate these terms with hyphens or underscores, rather then using any other type of separators or not using separators at all. If your URL contains multiple terms, separating them with a hyphen or an underscore would also make them readable for your users. Search engines as well as users like URLs that are clean. Therefore, avoid using words like ‘of’, ‘if’ and ‘the’. These words aren’t going to improve your search engine rankings, but they do make the URLs look unclean. It is not necessary to have the same keywords in your URL as your page title. 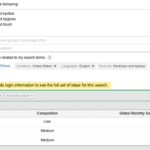 Minor alterations in the URL keywords can help you target more keyword variations. For example, if your page title is ‘Malaysia Travel: A Rich Experience’, you can also target your URL with ‘Malaysia Travel Guide’, ‘Malaysia Travel’ etc. 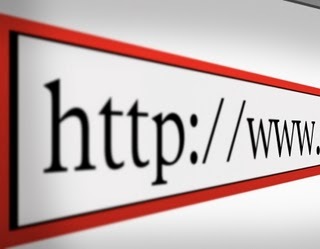 Are You Ready to Optimize Your URL? The naming of your webpage URLs is essential to keep search engines well informed and achieve higher rankings. The filename informs search engines of the theme a specific page. Feel free to share your comments and experiences about URL optimization.